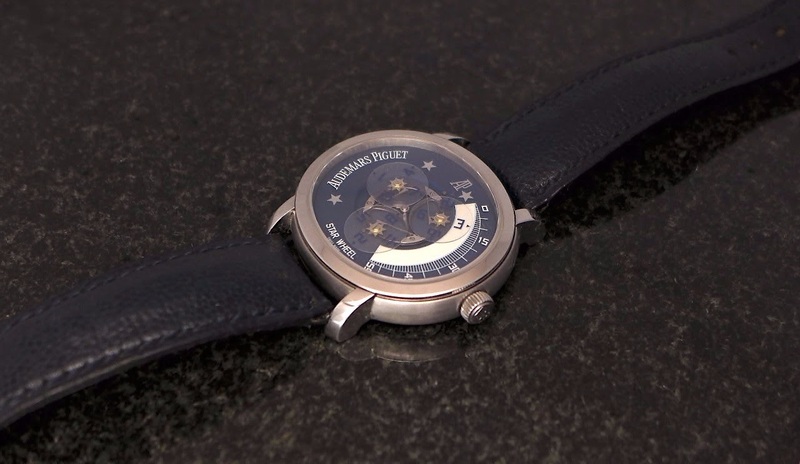 Audemars Piguet - Audemars Piguet Millenary Starwheel: When Audemars Piguet plays the card of Independents. Audemars Piguet Millenary Starwheel: When Audemars Piguet plays the card of Independents. THAT Starwheel could have been the creation of an Independent! I don' know the story behind the Starwheel, but the outcome is pure madness. I had the pleasure to see it live during my last trip in Hong Kong, due to the kindness of its owner, our dear Semper Fidelis, and it is an experience stuck in my mind forever. Probably my favorite Audemars Piguet. I would love to see it in the case of the all new 11.59! I had the pleasure to see a few different AP starwheels last year . Like you said maybe this Millenary is one of my fav from the brand . That is a great idea, Nicolas. I hope AP is reading it! The watch would be even more at home in the CODE case. I've seen a bunch over the last few years, all at various auctions. The Millenary was my favourite as it is the most contemporary of the AP Starwheels. Singapore is welcoming you with open arms! Why did they not introduce a new Starwheel? I am really confused by AP these days.